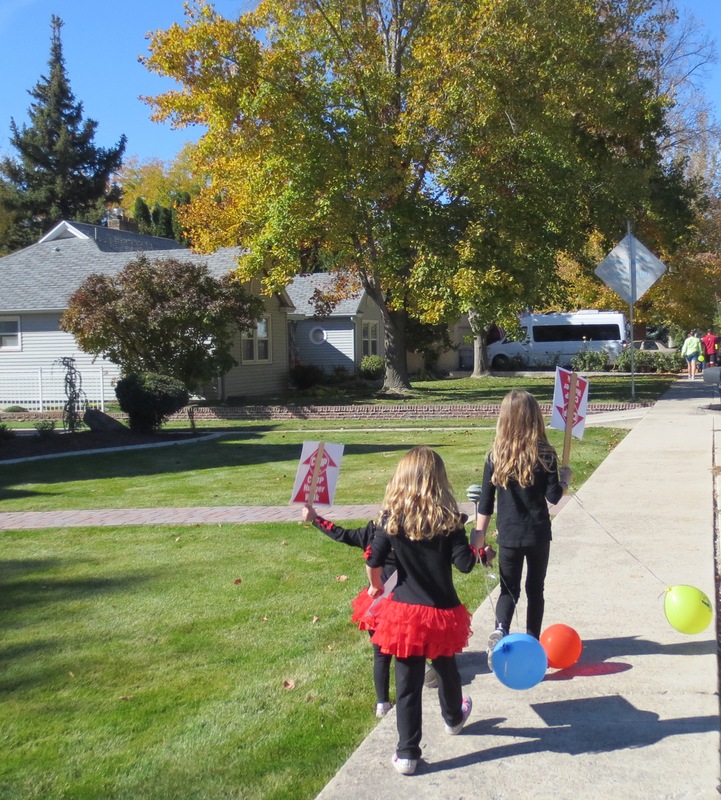 Last Sunday afternoon I walked three miles in Caldwell, ID with five-year-old twins and a six-year-old from Trinity Lutheran Church. It took a long time but it was a perfect fall day and in addition to seeing the community through the eyes of these children (bus benches are a novelty, freshly mowed lawns are for everyone to play on, and people putting shingles on a roof deserve our undivided attention) I had a fun adult conversation with the girls’ mothers. 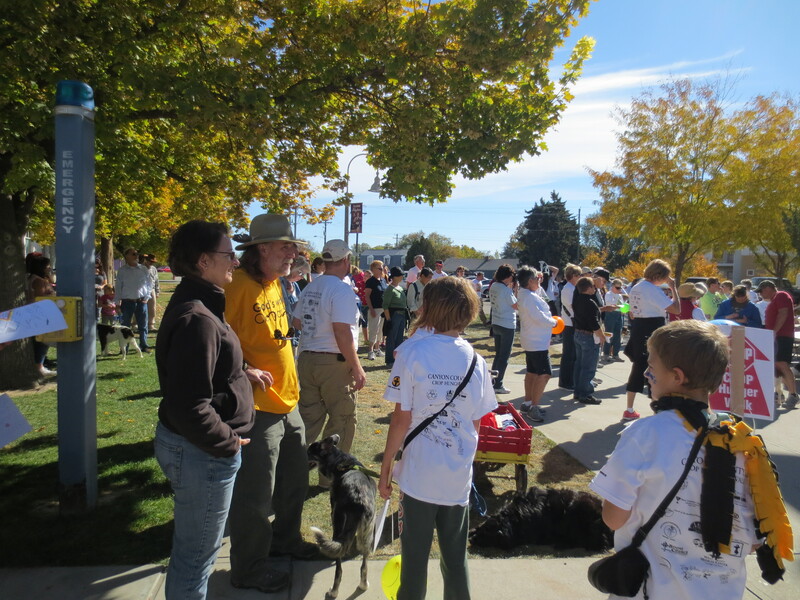 Trinity Lutheran Church has provided leadership for Canyon County’s CROP Walk for years. The first time I opened the detached shed by the church’s back door was during a spring church clean-up day. I grimaced at what looked like piled up junk—pylons, signs, posters—all pushed aside by useful things like ladders and rakes. I debated aloud to myself about throwing this stuff away but someone overheard me and gave me a quick explanation. “Huh, CROP Walk? Well, okay,” I responded and went to help clean the kitchen. Of course since that morning I have become a fan, proud that Trinity members provide leadership, thankful that congregations in the county come together for this event every year, moved by the way this walk encompasses people of all ages and abilities, and honored when I’ve been asked to give the invocation at the start of the walk. The numerous Midwestern transplants at Trinity strongly connect us with the beginnings of CROP Walk. CROP began in 1947 under the wing of Church World Services. CROP was an acronym for the Christian Rural Overseas Program. Its primary mission was to help Midwest farm families share their grain with hungry neighbors in post-World War II Europe and Asia. 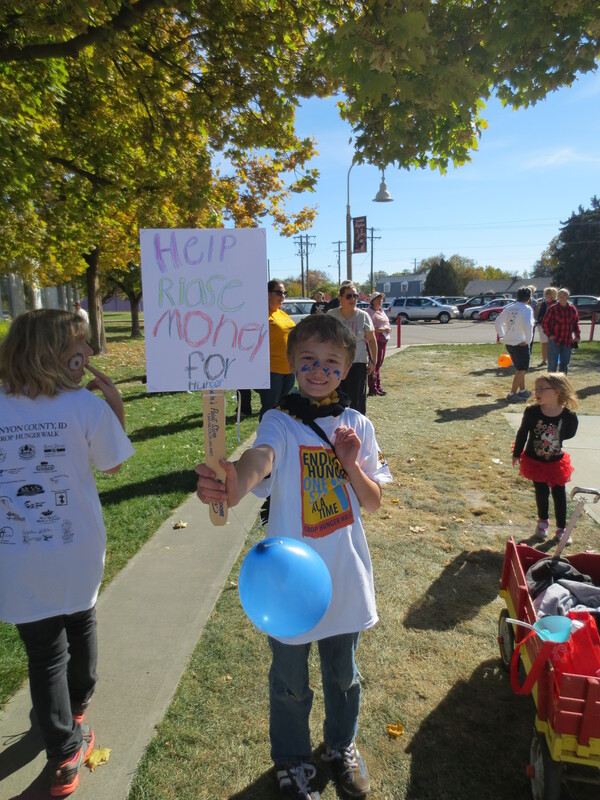 On October 17, 1969, a thousand people in Bismark, North Dakota, walked in what may have been the first-ever CROP Hunger Walk. They raised $25,000 to help stop hunger. Several other CROP Hunger Walks occurred soon after. Before long, there were hundreds of Walks each year in communities across the United States. Today, 25% of the funds raised stay in each Walk’s community. (This year, for the first time in its history, Trinity Community Gardens is a recipient of those funds). The other funds help provide food and water and resources that empower people to meet their own needs—seeds, tools, wells and water systems, technical training and micro-enterprise loans. During each Walk, we continue a legacy born out of the compassion of Midwest farmers who knew they had been blessed. They had made it through the Great Depression. They had surely rationed food so that soldiers overseas would have enough to eat. Coming out the other side of both the Depression and the war, they decided to share their abundance with hungry people across the Atlantic and Pacific Oceans. The new acronym is Communities Responding to Overcome Poverty but knowing the history of the original CROP is important. I think those early walkers had some idea of the kingdom Jesus Christ wanted to usher in. They glimpsed a different kind of glory—self-sacrifice and unconditional love, even for those who they had never met in person. I doubt they were glorified by society then. Are we glorified today? 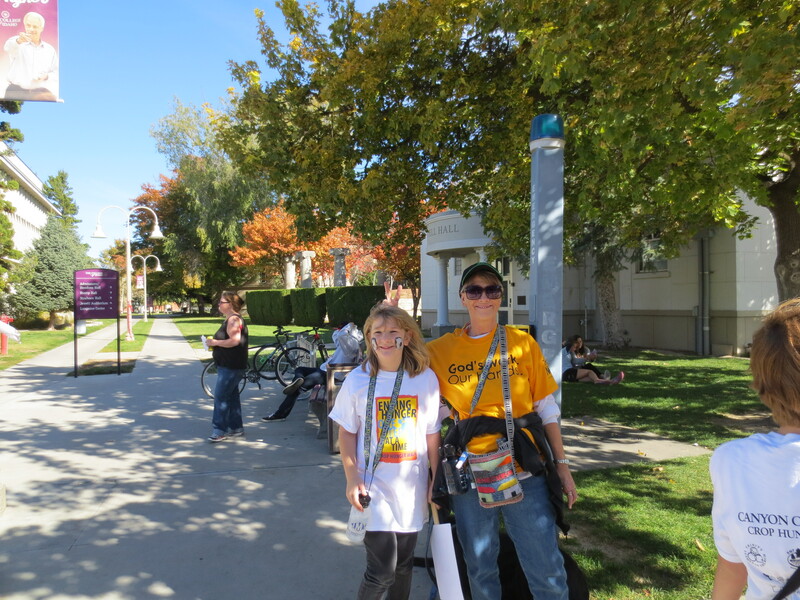 No, the little walkers with whom I strolled through Caldwell received no public accolades when we made it back to the College of Idaho. However, they were glorified by their parents, grandparents, community members, Trinity parishioners, and their grateful pastor.